This is a great looking pool stick! 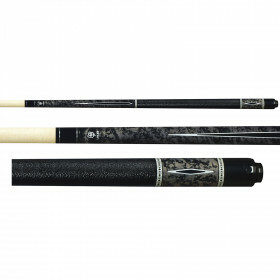 Jet black paint job, genuine Irish linen wrap and intricate point detail on the forearm and sleeve, this McDermott L25 Lucky pool cue will stand out in a crowd. 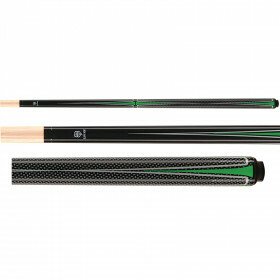 McDermott is known for producing good quality, high value pool cues for the discriminating player. This cue is no exception. 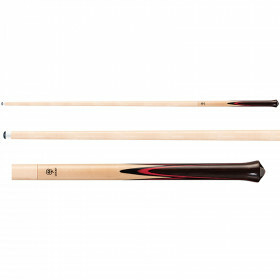 Made of hard rock Maple with a wood-to-wood joint, you'll feel every hit and know when you are on target. 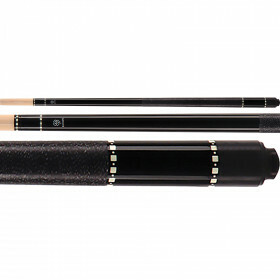 Start winning tournaments, or your local bar games, with a quality black pool cue from McDermott today!